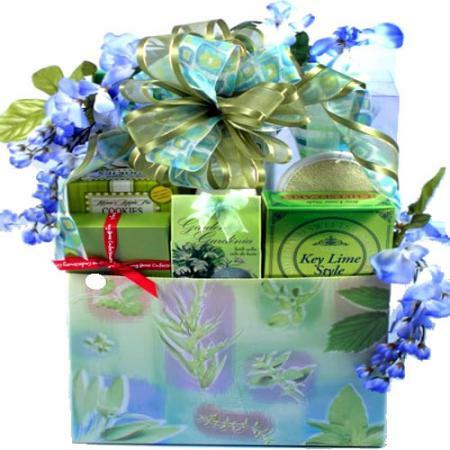 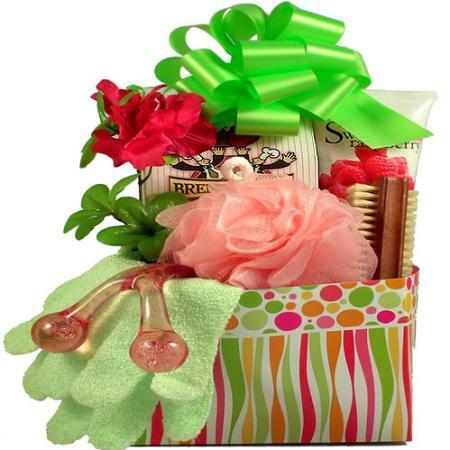 This beautiful spa treatment gift set is assembled in a lovely designer gift box and filled with gifts and goodies she will love at a price you can afford! 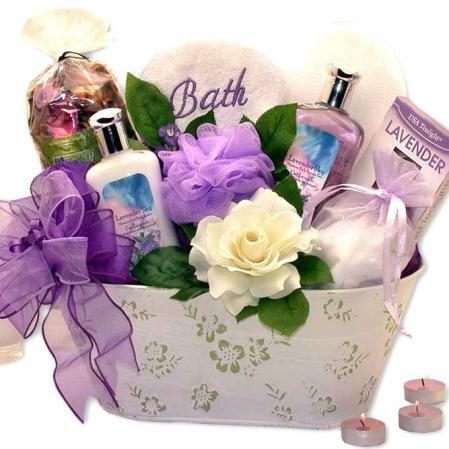 If she is special, let her know she is. 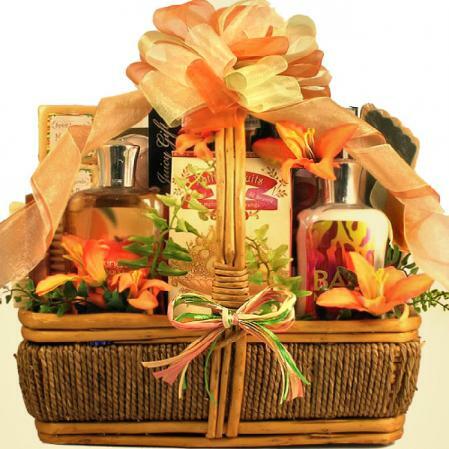 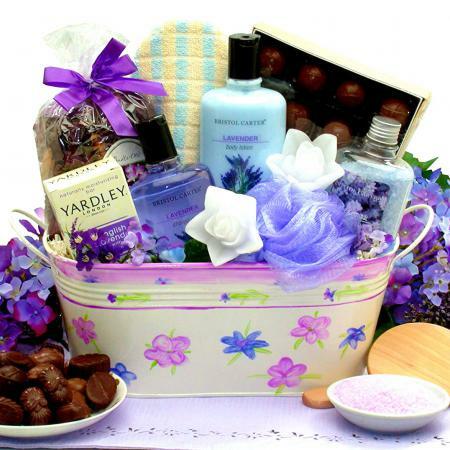 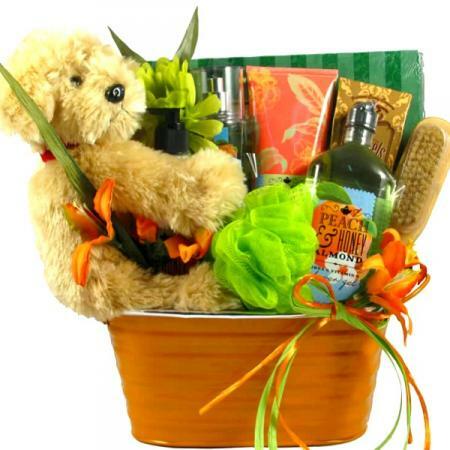 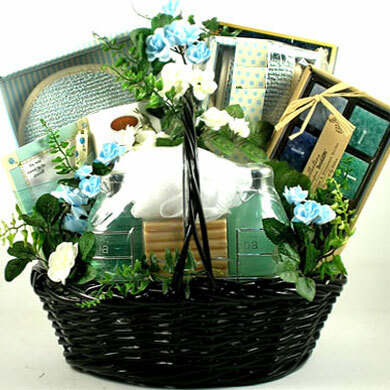 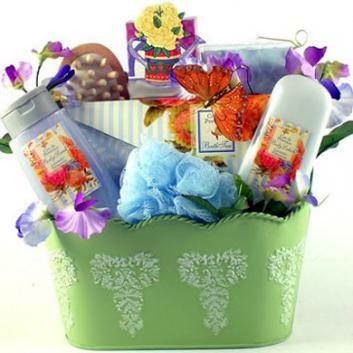 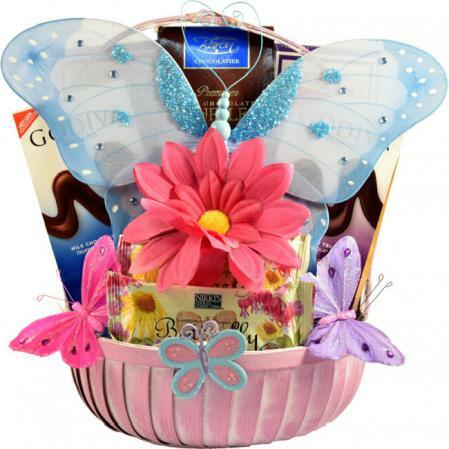 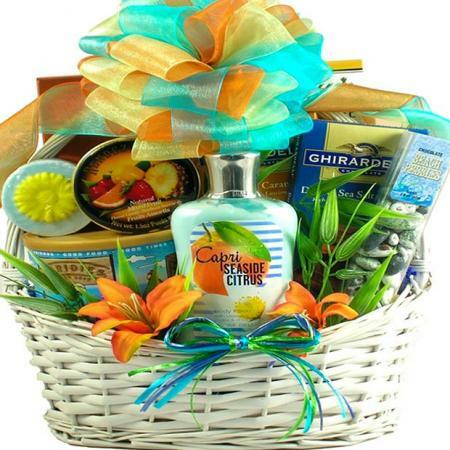 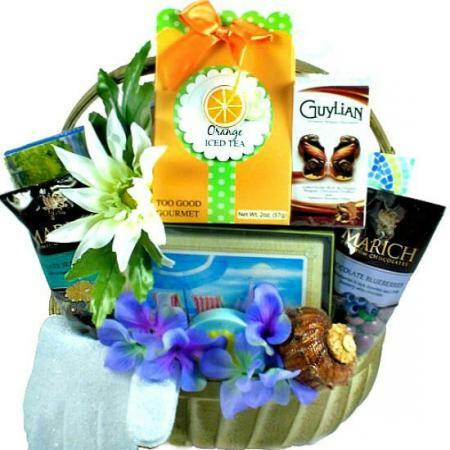 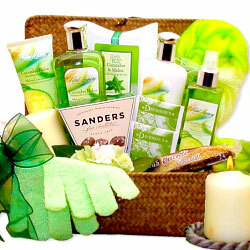 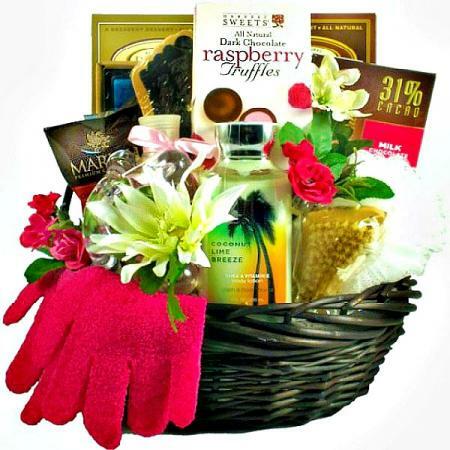 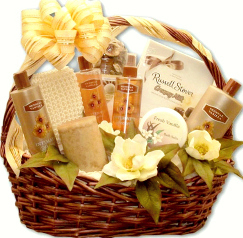 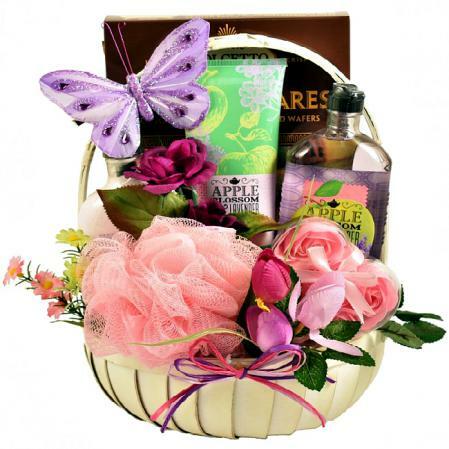 Spoil her with this adorable gift arrangement of pampering spa products. 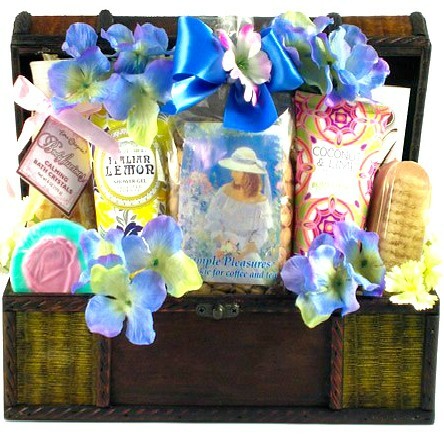 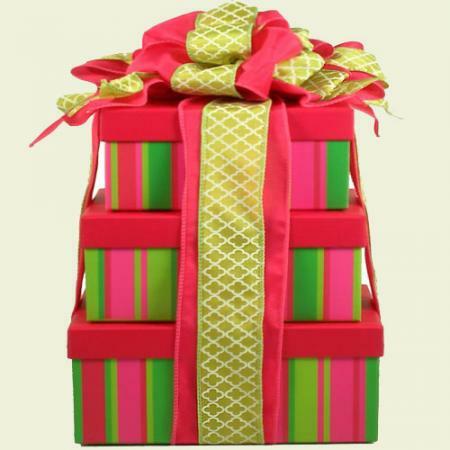 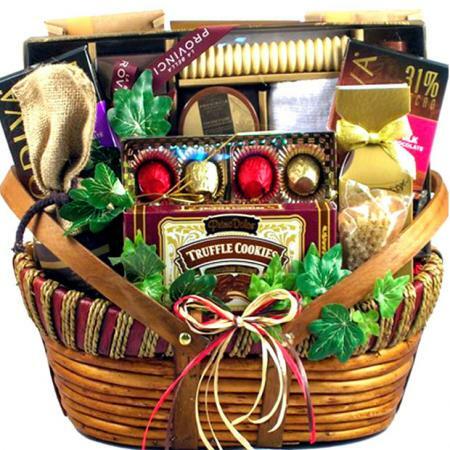 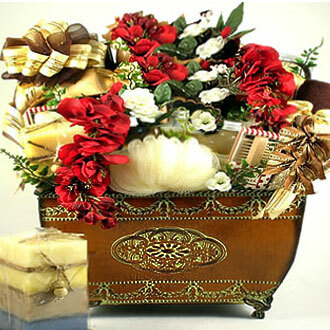 A beautiful designer box is filled with gifts and goodies she will love at price you can afford! 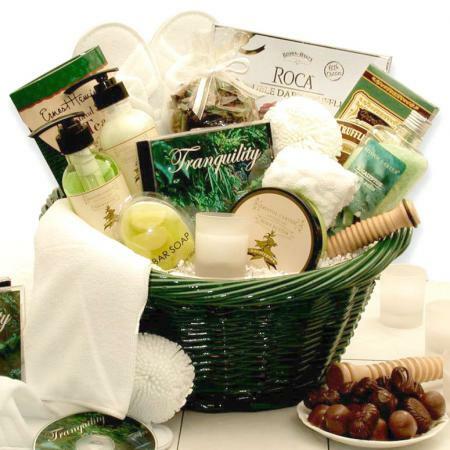 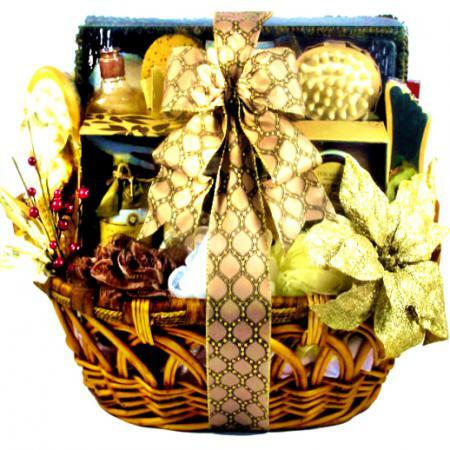 This spa gift basket comes with everything but the tub ( and the quiet time to herself ).